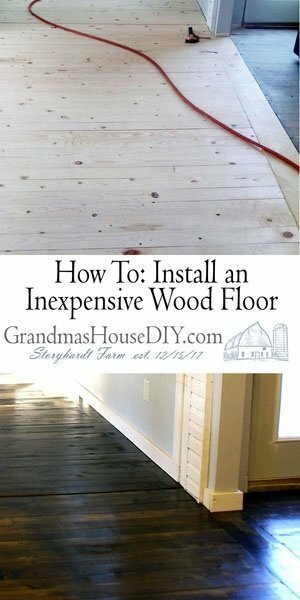 Farmhouse Furniture Makeover with Farmhouse Hens Decorate! 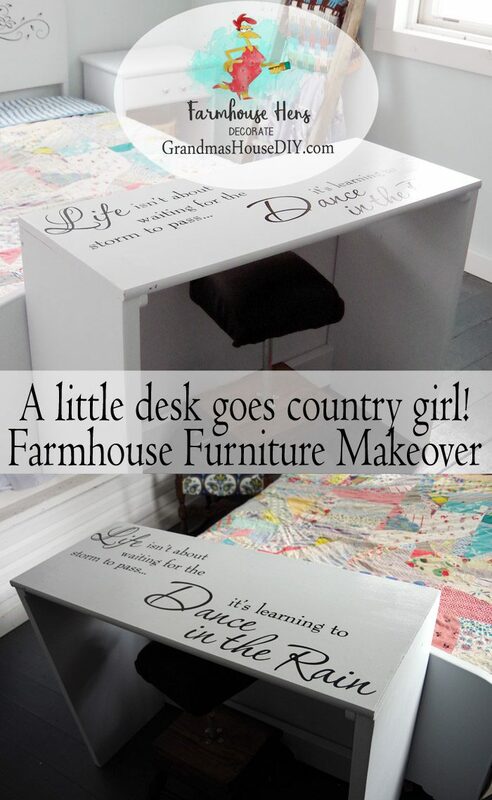 Country Girl Desk Furniture Makeover with Farmhouse Hens Decorate! This little desk was built for me by my grandparents MANY years ago, I painted it black to match up with my old guest bedroom scheme that was a compromise for my ex. Now that I’m a single gal I’m taking back all of my furniture and making it mine again so everything is getting a full on country girl furniture makeover and moving to my whole new guest bedroom and library! I already painted the little end table (makeover coming next week) and the steel bed frame so it was high time to finish this little desk too. 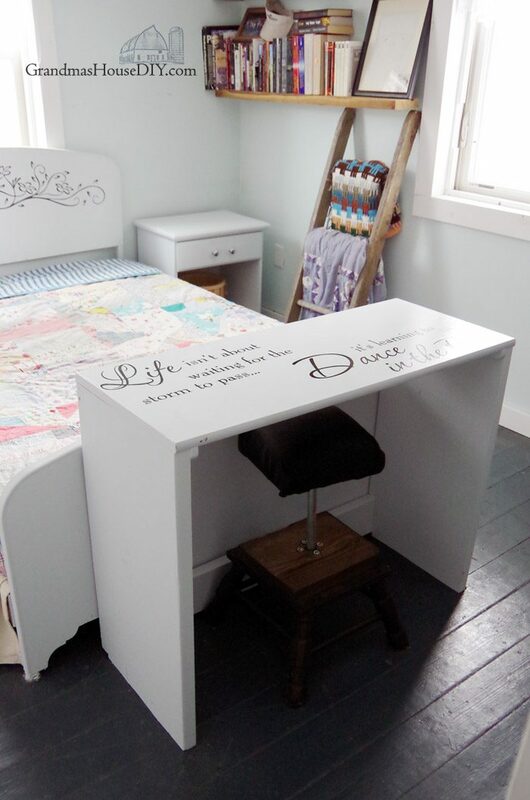 After finding an amazing wall decal for the bed I knew I wanted to do something similar for the top of this desk. First job was though to try and cover that gloss black Rustoleum with gray matte acrylic paint! Four coats later and, finally, no more brush strokes and I had a nice surface to work with. 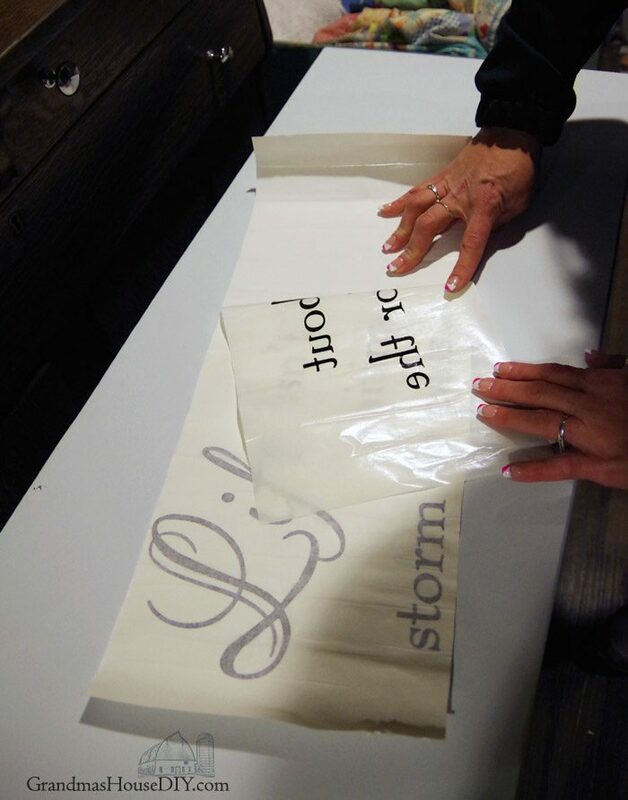 We cut the decal in half, choosing to put the two sayings side by side. 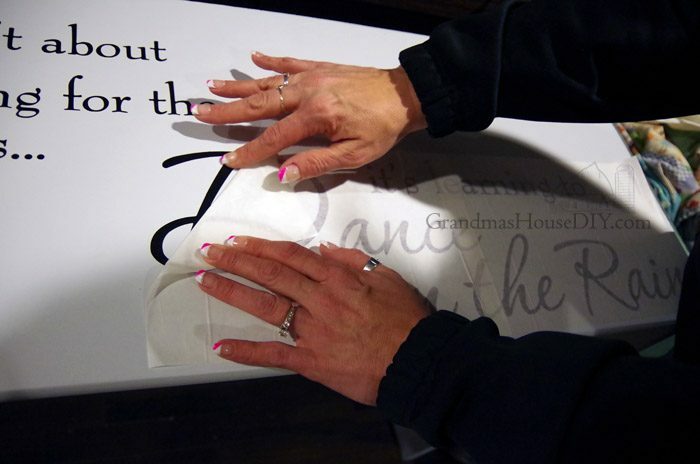 What’s neat about these decals is that you can literally put each letter or phrase etc wherever you want so they are very versatile to any size surface you may want to put them on. I did two coats of a poly acrylic over top to help keep the decal in place and protected. Besides that my little workshop stool that I made earlier this year fit in just fine tucked underneath. I wasn’t able to put it beside the bed like I had first imagined (not a wide enough room) but there was plenty of room at the end of the bed. And I’ve always liked the idea of a room beginning with a nice empty surface to put things on. All in, I think it turned out country, girly and very me. My grandparents’ built this little desk for me nearly 20 years ago and I think they would approve of its newest makeover! 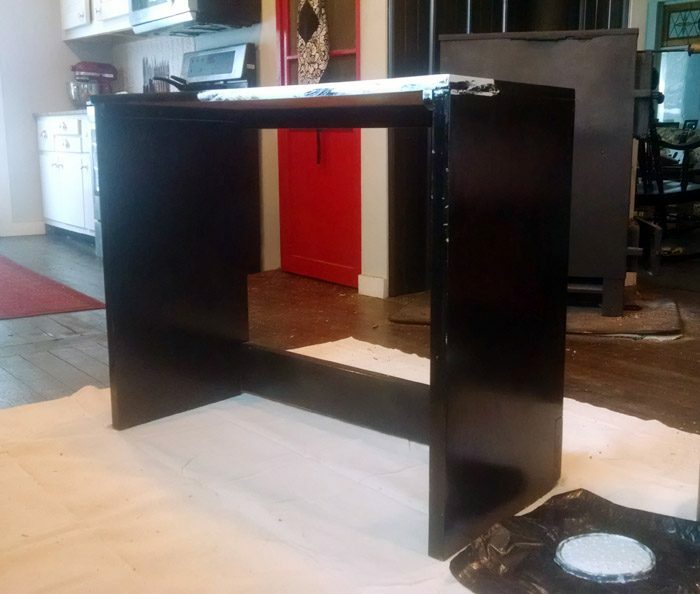 Want to see another furniture makeover? 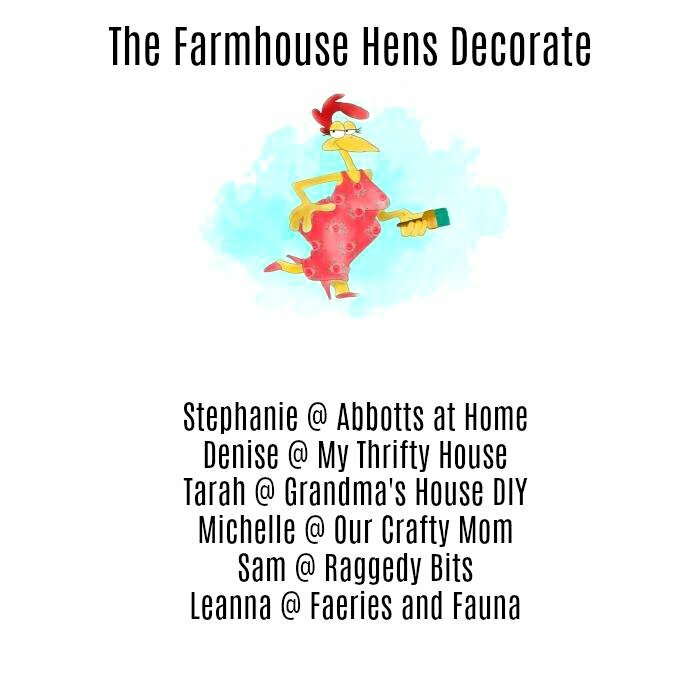 Make sure and check the other amazing projects this week from the rest of the Farmhouse Hens! What a lovely piece!! 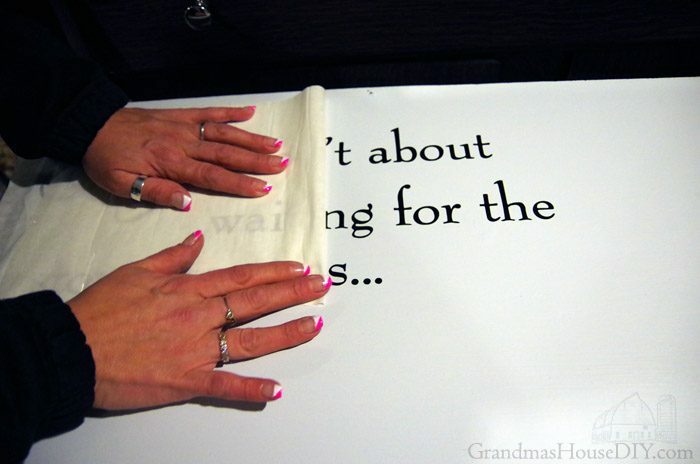 Especially after your Grandparents made it for you!! I also love the saying that you chose!! 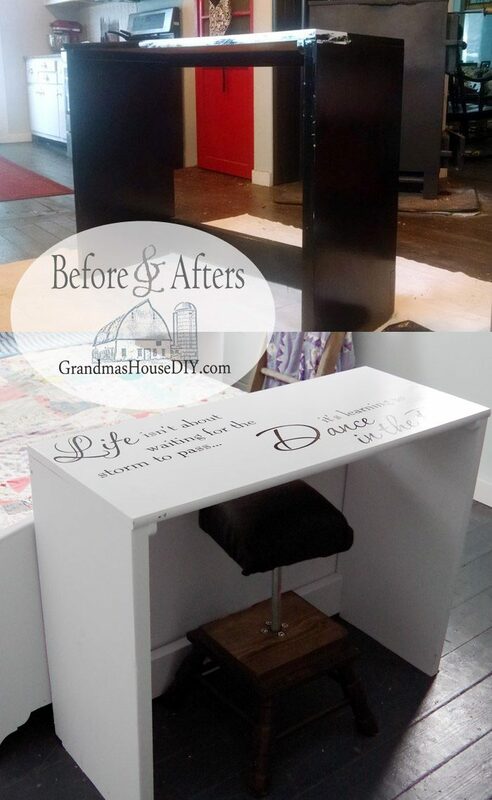 I love makeover projects and I really love the end result. That desk is so cute! What a cute little desk. Loving that decal you picked. The whole room is looking light and bright now. Very nice! 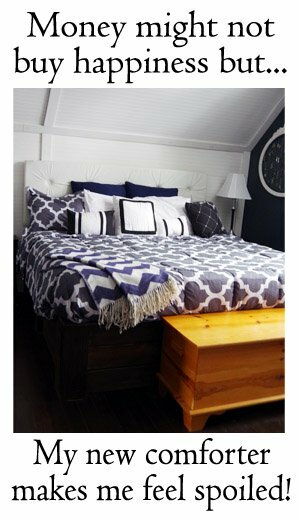 I really love this makeover, the whole room is gorgeous and so much nicer in the white. Your decal is beautiful, and the whole vibe of the room is much more positive. That is so cute! I have a few old piece of furniture that I am not loving… I may have to take another look at them with my crafter’s eye and see how I can revamp them. Thanks for coming by!! 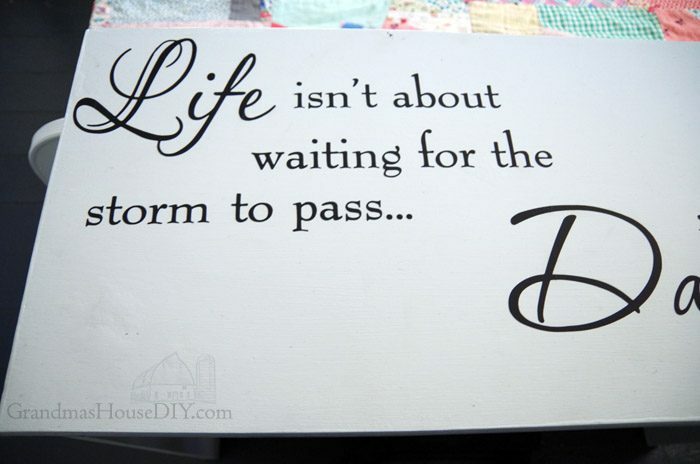 Those wall decals were SO easy to use and really inexpensive! You are always so creative! 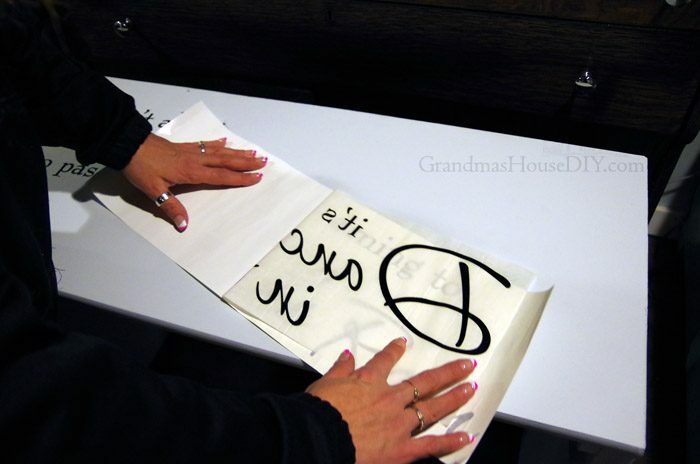 I love this desk idea with adding the decal on it. I have never thought of this idea before. Thanks so much Natalie, after I put the decal on the bed I had a light bulb moment lol I love how it looks on there! So fun! 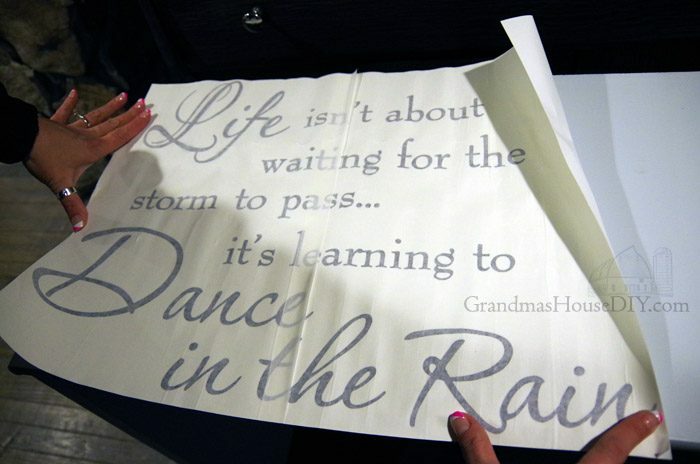 I love the saying. Thanks for sharing with SYC. That really turned out cute! 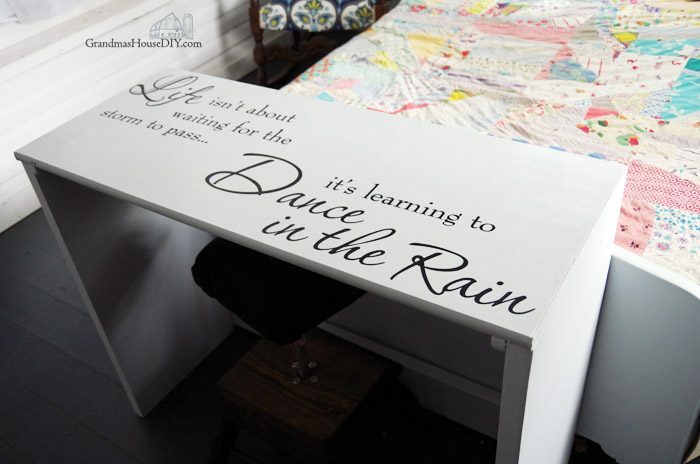 I love words and signs, but never would have thought of putting them on the top of a desk. Very creative! Thank you Wendy have a great weekend! 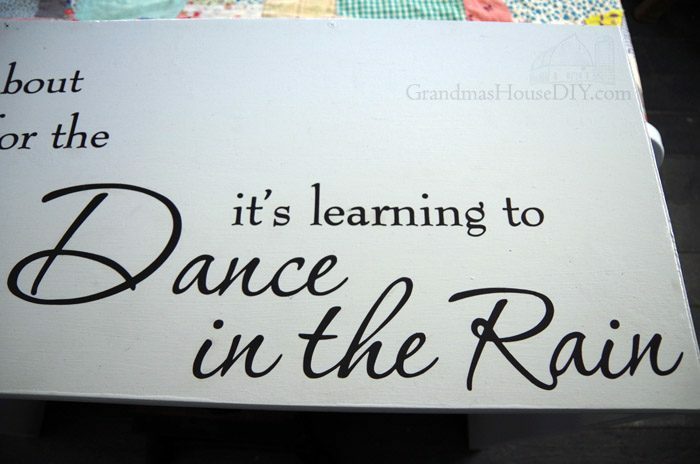 This is my first adventure into making small crafty items and your desk sparked all kinds of renovations on old pieces I have and the saying you chose,Awesome, at my age, we servive by learning to dance in the rain. Thank you so very much for sharing your project and renewing the handyman spark in me. Emmett, thank you so much for coming by! I’ve loved that saying for a very long time but it sure did spark true for me when I went through my divorce which is why I decided to put it on this old desk. 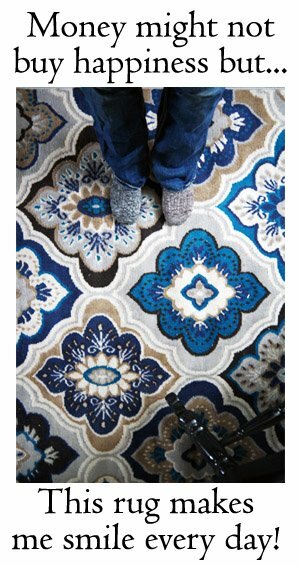 Its really neat when a simple project like this one can mean so much!